Grammy-winning gospel singer, television star, and radio host Erica Campbell speaks to women of all shapes and sizes, demonstrating that true beauty is found not in external appearances, but in celebrating the person God made you to be. So many young women struggle with issues of low self-esteem, depression, self-degradation, and other unhealthy habits that manifest on the outside what’s happening on the inside. And the rise of social media and the emphasis on beauty as validation for self-worth have only added fuel to the fire. But Erica Campbell—Grammy-winning gospel star, reality TV star, and nationally-syndicated radio host—believes that we need to redefine beauty. We need to start to see ourselves the way God sees us—beautiful and perfectly made. True beauty, Erica believes, is about embracing who God made you to be. In More Than Pretty, she turns the mirror around, reflecting God’s Word, His affirmations, and His design for every woman. This book explores issues of self-esteem, identity, and God’s design for love and intimacy. She is candid about her own struggles, sharing honestly about her battle to feel “good enough” in an industry that fixates on outward appearances. Covering topics such as being honest about who we truly are, reflecting on what we have internalized about our appearances, uncovering and exposing the plan of the Enemy, and accepting God’s will for your life, Erica offers thoughtful, hard-won wisdom and encouragement to women from all walks of life, helping build confidence in and through the power of God. 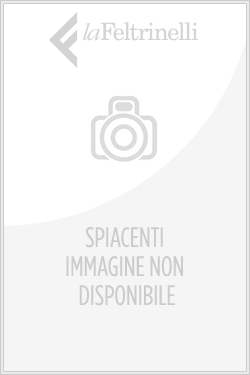 Acquista More Than Pretty in Epub: dopo aver letto l’ebook More Than Pretty di Campbell, Erica ti invitiamo a lasciarci una Recensione qui sotto: sarà utile agli utenti che non abbiano ancora letto questo libro e che vogliano avere delle opinioni altrui. L’opinione su di un libro è molto soggettiva e per questo leggere eventuali recensioni negative non ci dovrà frenare dall’acquisto, anzi dovrà spingerci ad acquistare il libro in fretta per poter dire la nostra ed eventualmente smentire quanto commentato da altri, contribuendo ad arricchire più possibile i commenti e dare sempre più spunti di confronto al pubblico online.